From flooding to fire damage, mold removal, and more, we'll be there when you need us most. If you’re experiencing an emergency situation, you want to take care of the problem as quickly as possible. 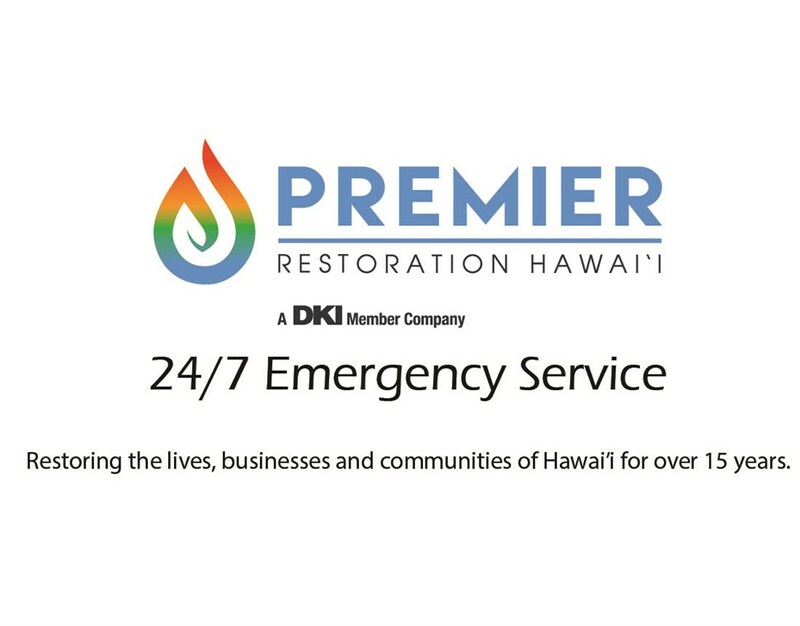 At Premier Restoration Hawaii, we understand that time is of the essence, which is why we are available 24/7 for emergency restoration services. No matter what time of the day or night, just give our certified restoration technicians a call, and we’ll be there in less than 24 hours to assess the situation—guaranteed. We can prevent further damage with our emergency board up techniques that can stop the spread of fire, smoke, water, and debris. Not only can this put your mind at ease in the meantime, it can help you save both time and money when the restoration process begins. When you’re looking for Maui restoration services from a professional team, you don’t have time to invest in researching the kinds of services they offer. Time is of the essence, which means you should be able to place a single call and feel at ease knowing your problem will be taken care of in a timely manner. From small residential homes to expansive commercial spaces, we have what it takes to minimize the damage and restore things to their previous condition quickly. Don’t get stuck waiting on hold when you need help now. With our reliable emergency response services, you can get the hassle-free support you need to get your home or business back on its feet. We guarantee a response within 24 hours of your initial call to inform us of the problem. Ensure you get the attentive and responsive care you deserve by giving us a call today. You can also fill out our convenient online form to request a free quote for our services.